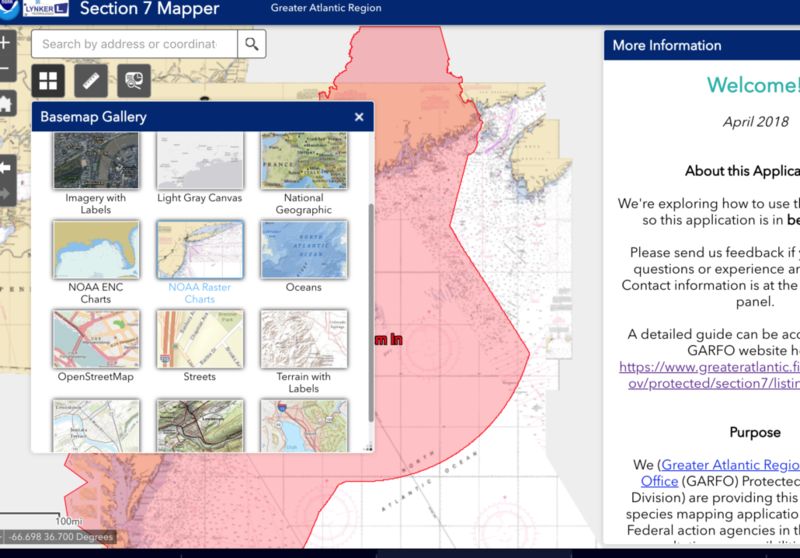 Lynker spearheaded the development and implementation of NOAA Fisheries’ new ESA Section 7 Mapper, an interactive, GIS-driven visualization tool NOAA scientists, federal action agencies, and the general public can use to help identify ESA-listed species and critical habitats in project action areas along the East Coast. We designed and implemented new GIS datasets for each Section 7 Consultation Area, locating where and when ESA-listed species (sturgeons, salmon, whales, turtles) of a given life stage (adult, juveniles, larvae, etc.) are found exhibiting relevant behaviors (migrating, foraging, spawning, rearing, calving) along major waterways and marine zones. 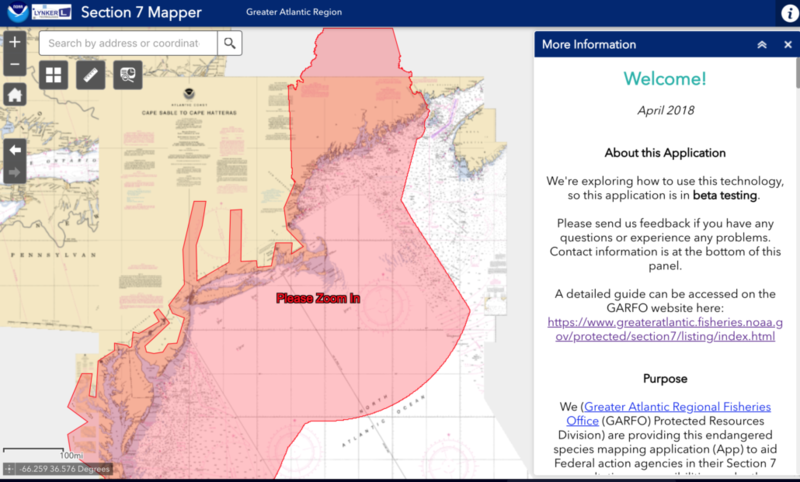 The resulting interactive web map application allows Action Agencies to draw a project site, determine which Consultation Areas overlap, and generate a detailed report, expediting the process of determining whether further consultation with NOAA Fisheries is necessary. Lynker’s ESA Section 7 Mapper will reduce the number of unnecessary consultation requests and improve the quality and accuracy of necessary consultation requests. This easy-to-use mapping interface achieves those goals by publishing our agency’s current understanding of where the best available data dictates consultations are recommended. Click here to access the mapper from the NOAA website.